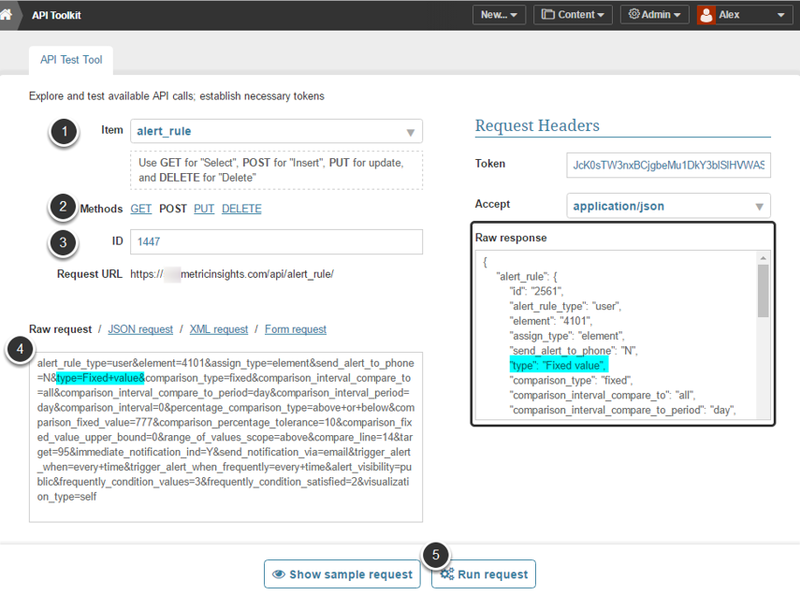 This article provides sample API calls used for obtaining and creating Alerts. 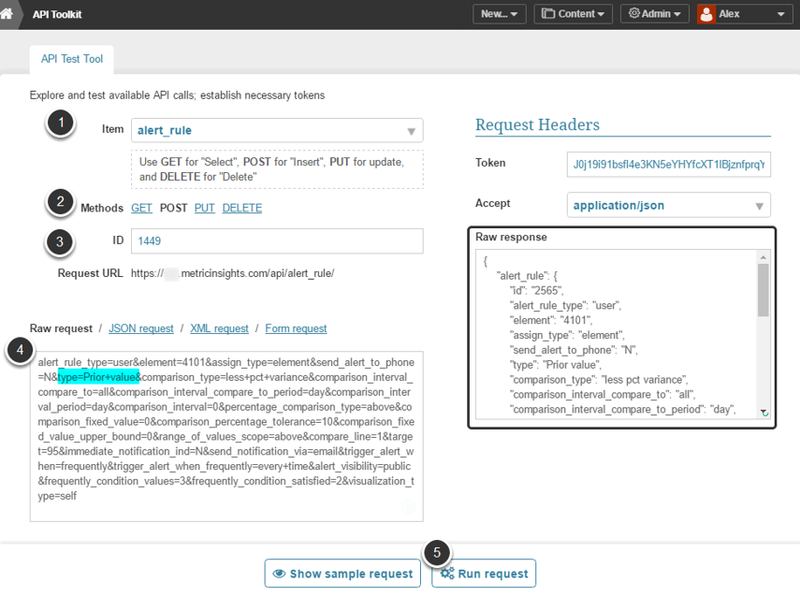 You can fetch the list of all alerts for a specific Metric. NOTE: You might get empty result. start_time/end_time: Define a date range for which the alerts should be shown. 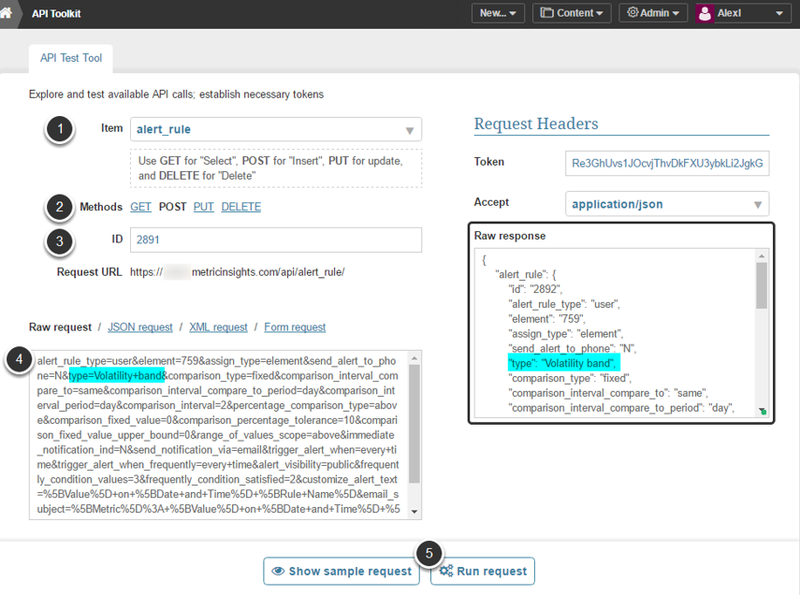 You can use API toolkit to easily manage users' Alert subscriptions. You can review all the Alerts certain user is subscribed to. Dimension value "-1" stands for all dimension values. 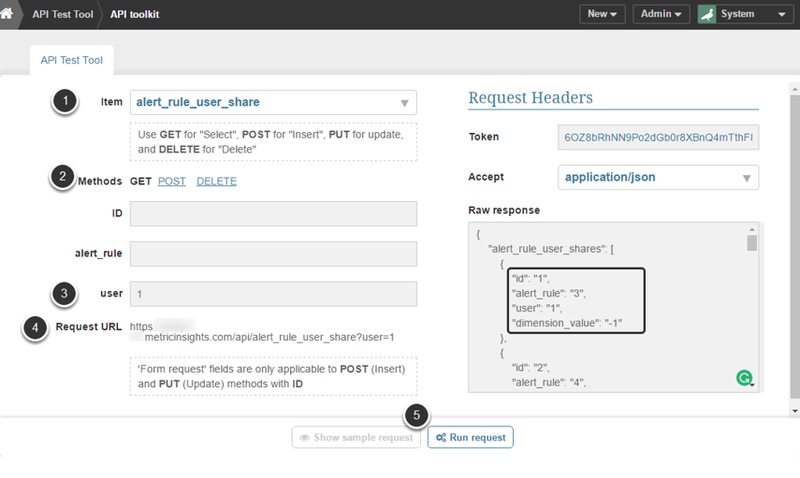 You can subscribe users to specific Alert Rules (one user to one Alert rule at a time). 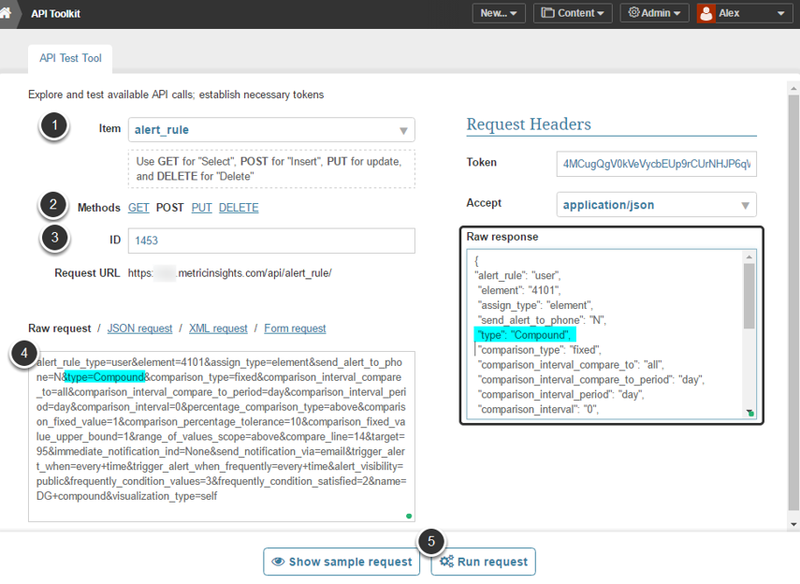 ID: Enter the ID of previously created "alert_rule+user" combination. 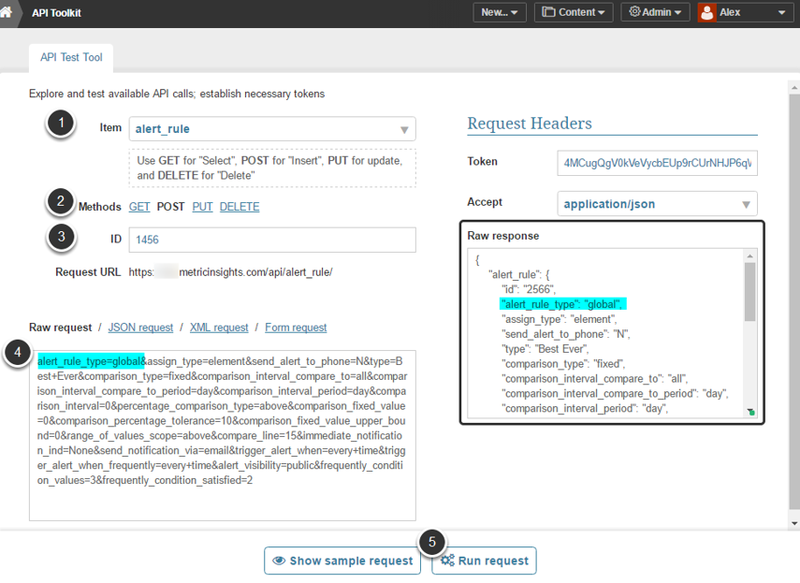 To see the list of all such pairs, choose GET method, leave ID, alert_rule and user fields empty and Run Request. 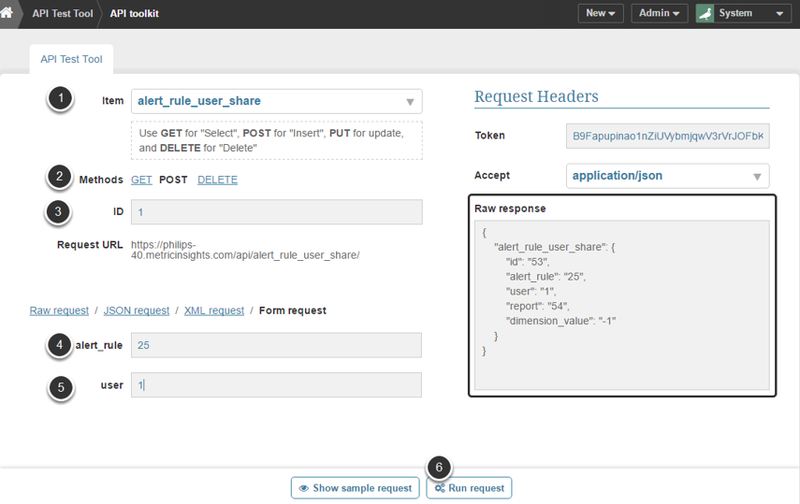 All "alert_rule+user" combinations are going to be displayed in the Raw response field. Choose the one that is supposed to serve as a foundation for the new combination. 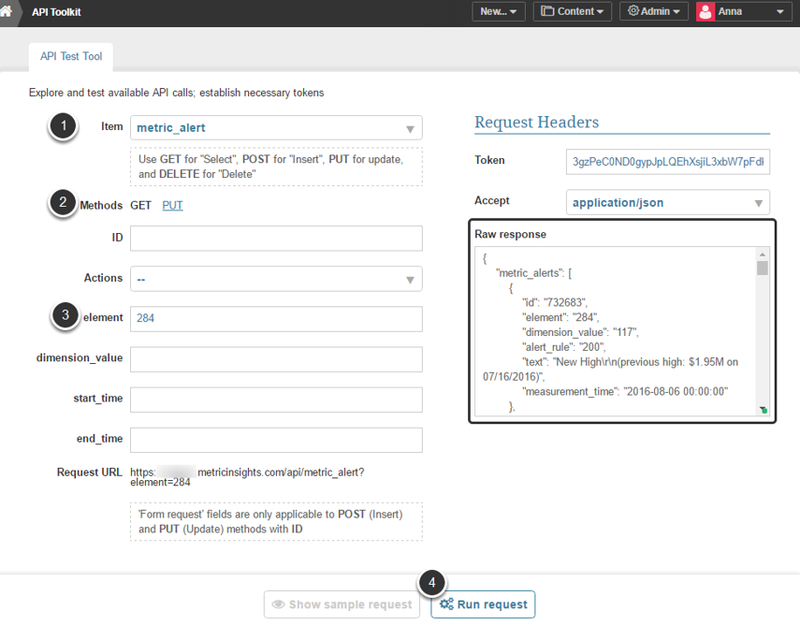 This procedure allows deleting certain alert rule subscriptions. ID: Enter the ID of the "alert_rule+user" combination to be deleted. 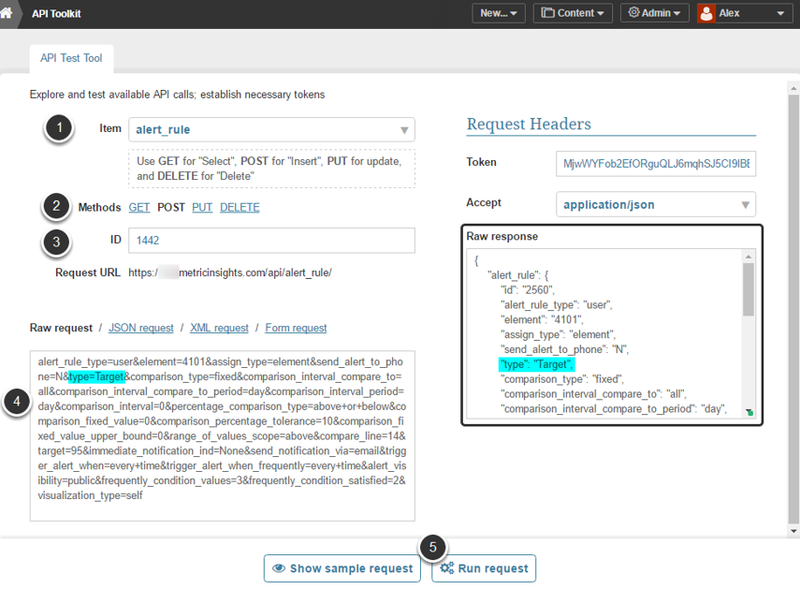 To see the list of all such pairs, choose GET method, leave ID, alert_rule and user fields empty and Run Request. 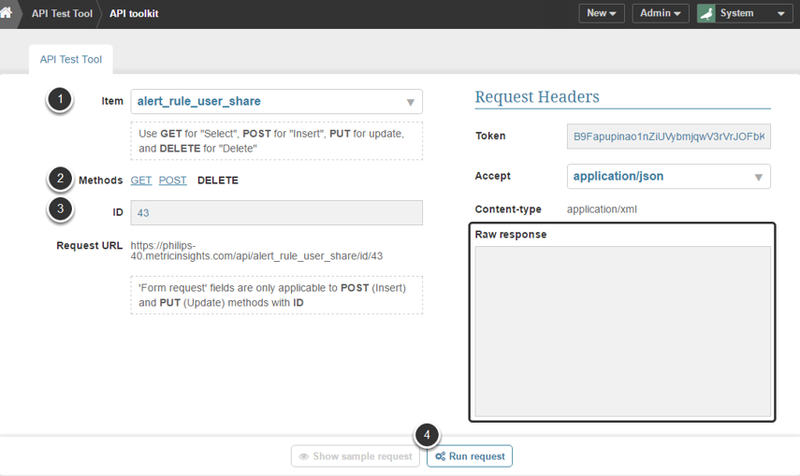 All "alert_rule+user" combinations are going to be displayed in the Raw response field. Choose the one which is supposed to be deleted. 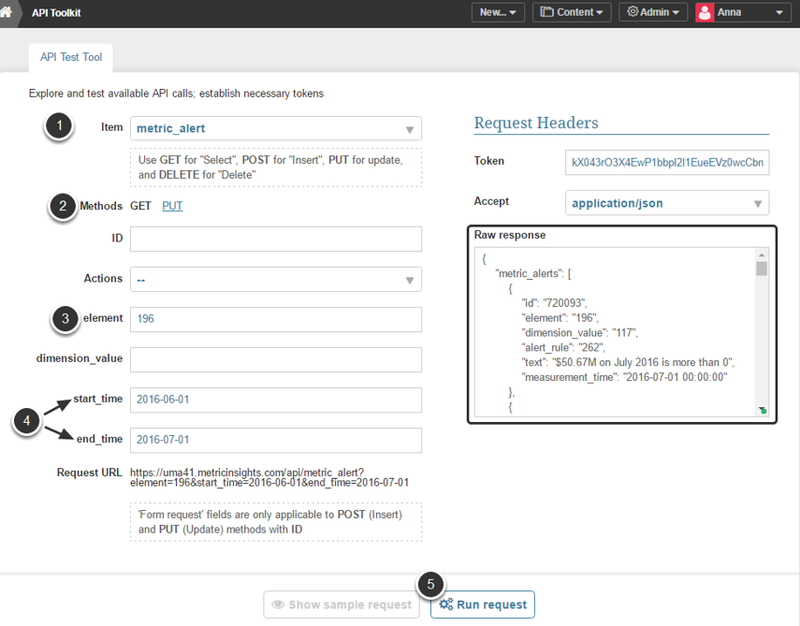 NOTE: If the "alert_rule+user" combination is successfully deleted, the Raw response field is going to be empty.